You’ve been looking for a new job for months. Your current one just isn’t cutting it anymore. Finally, a company reaches out to you but they’re located across the country! Luckily, they’re willing to give you a little money towards relocation. Now it’s time to prepare. The last move you made was stressful and that was just down the street from your old place. Now you have to move across the country. You’re definitely going to have to write out a schedule. 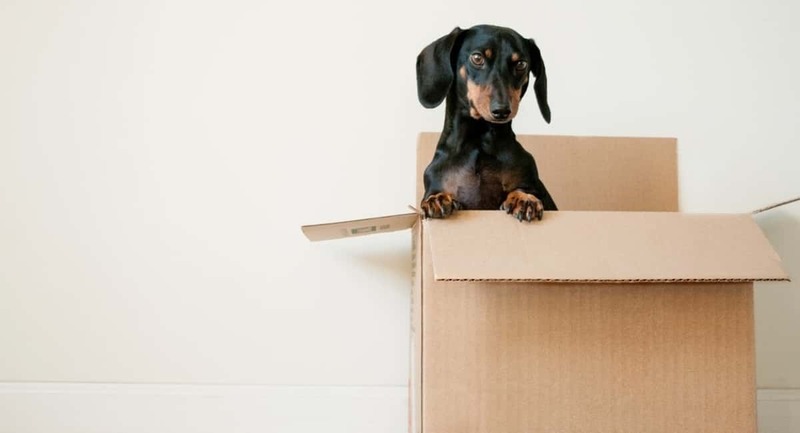 To help you plan your big move, here are a few tips for moving across the country that will make this change a little less stressful for everyone involved. If you really are moving because you got a new job across the country, you need to start writing out a schedule as soon as you get the “you’re hired” phone call. You have to rent a new place from long distance which is a battle all in itself. Once you’ve finally gotten a place on lockdown you then have to set up utilities. If you have a child who is in school you have to work out enrollment. Some of these things are time sensitive so we recommend marking any deadlines down on a calendar. Now that your schedule is written out, you can start working on the packing process. Even if the move isn’t for a while now, you should still be hoarding moving materials up until you start packing. Most supermarkets will allow you to come in and gather boxes that they have laying around from shipment. If you want to save money for your actual moving process, you can get things like tape, scissors, and bubble wrap from family and friends. When it’s closer to your actual move day you’ll start your packing process. This is perhaps the longest part of moving. Even longer than the drive/flight that you’ll be making. The first thing that you need to do is sort through your things and decide what you’re keeping and what you’re going to throw out or sell. You don’t want to spend extra money shipping boxes to your apartment that’s full of things that you don’t even want anymore. Closer to the day of your move, hold a garage sale and get rid of this stuff. You can also donate some of it. As far as the actual packing process goes, you want to label all your boxes that way you can organize it by what goes in what room when you arrive at the new place. You need to mark anything that is fragile not just for you but for the knowledge of your movers as well. Pack things by room. Once you have an entire room packed, you should clean it up. You want to clean as you go so you don’t have to use up a bunch of time doing it later. You should be spending time as you move looking for a moving company. This means comparing prices of various companies, researching them, and looking at reviews online. Keep in mind that getting movers to do the job for you will be more expensive but doing this will make it more likely that your things won’t arrive broken. When looking at prices, you can compare it here. If you want to save a little bit of money you can rent a truck and move all your things yourself. There will be more of a risk that your things will break if you’re not careful though. Pack the truck smartly. Don’t just sling all your things into the truck. Take your time to make sure that you’re using all the space the truck offers and that you’ve packed it in a way where something heavy won’t fall on top of a fragile box. One of the things to keep in mind with renting a truck is that you’re charged by the size of it and the gas that you use to get to your destination. Don’t rent a truck that is bigger than the moving job you have. Finally, all the packing stuff is done and it’s time to hit the road. It’s inevitable that you’re going to get tired during the drive and need to stop and rest. The most common methods of resting are getting a hotel, staying with a friend, or camping. The most obvious means of resting along the way to your new home is booking a hotel. You should seek out deals way before your move that way you can save a little bit of money. You can look for coupons online or stop at a state welcome center. They usually have coupon books for all the local hotels. If you have friends or family that live along your driving path, you should call them up ahead of time and ask them if you can stay a night with them. This will save you money on booking a hotel room. This method also gives you a chance to hang out with people that you don’t get to see that often. If it’s nice out, it would be a crime for you not to take advantage of it. Staying the night in a campground along the way will be leagues cheaper than getting a hotel room. It may not be as rewarding as staying with family and friends during your travels but if you don’t have someone along your route what can you do? Have you gotten a “you’re hired” phone call from a job that you put in an application for that’s located across the country? Moving can be stressful but if you use these tips for moving across the country you’ll be able to make the process go a lot more smoothly. Is your relocation taking you to Australia? Keep reading for everything you need to know about moving to the land down under.